It’s official. 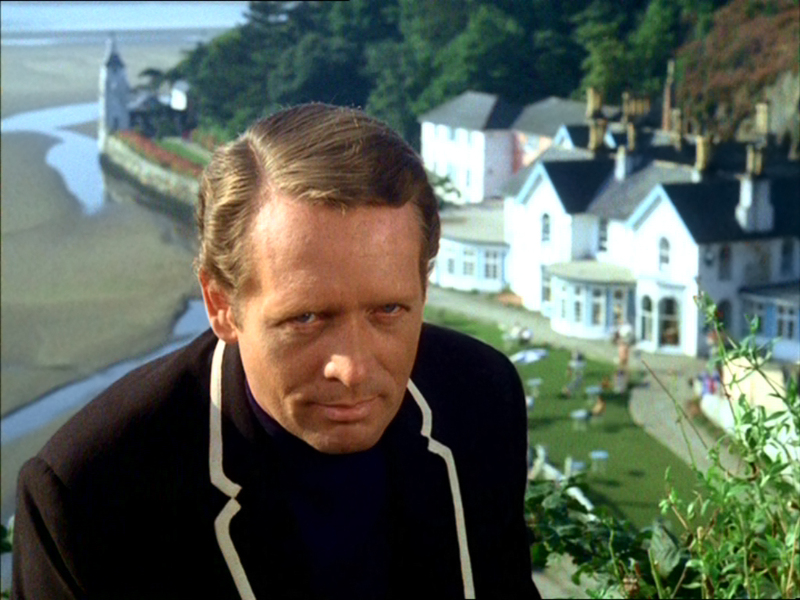 Despite the better efforts of a Hollywood millionaire from Australia to free Scotland from the greedy clutches of that guy from The Prisoner, the United Kingdom remains united. Up until the very day of the referendum on Scottish independence, it seemed the vote could go either way. In the end, however, the citizens of Scotland elected to remain a part of the venerable United Kingdom, alongside England, Wales, and Northern Ireland, rendering all of the “what does this mean to the whisky industry” articles that were written in the past month to the dustbin of historical “what if” files-- to say nothing of having to junk the hundreds of anticipatory "Scottish Independence" commemorative bottlings and label designs you just know every distillery had ready to go. Also, my plans to form an “Ex-Girlfriends of England” club with the United States, India, and Scotland have been thrown all asunder. Whether you were a unionist or a Scottish independent, there’s plenty of reasons to raise a glass to those green and misty islands. Whether in celebration or commiseration, it’s easy to sit down and take a tour of the United Kingdom from the surface of a bar by drinking a whisky from each of the members of the UK. Scotland may not be an independent nation, but as part of the union, I can think of no more enjoyable salute than a dram (or four, as the case may be). The seat of of the United Kingdom and its political heart has traditionally depended on it’s fellow members of the United Kingdom for whisky, preferring to concentrate itself on the production of gin and beer. But merry old England is not without its own spirit for distilling spirits, and the current king of English whisky distilling is The English Whisky Company’s St. George Distillery, only open since 2006. They offer an ever-changing and evolving range of young single malts, two of which are (more or less) available in the United States, one peated, the other not. Both are young and brash and touched with the taste of honey and salted caramel and the sea. Let’s have a dram of the peated version (silver medal winner at the 2013 NY International Spirits Competition), shall we, in salute to England’s neighbors to the north, who elevated the use of peat in the distillation of whisky into an artform. If anyone can tell the Scots a thing or two about the struggle for independence from the United Kingdom, it’s long-beleaguered Northern Ireland. Tensions brewed for decades -- centuries, really -- and frequently flared up in armed conflict. The streets of Belfast are quieter now, but the long struggle and eventual peace are still new in the grand scheme of things. 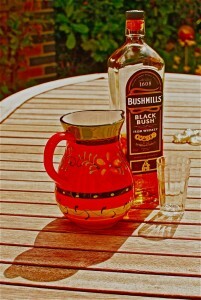 Northern Ireland is home to one of the world’s most popular Irish whiskey brands: Bushmills. The date 1608, printed on each of their bottles, is a tribute to the date in which a license to distill in the area known as Bushmills was granted, though it wasn’t until 1743 that the first known mention of Bushmills distillery is made (along with claims that it was a den of smugglers). If you can find a bottle of their Commemorative 1608 whiskey, have that. Otherwise, Black Bush is a superb blended Irish whiskey, heavy on the malt and finished in Oloroso sherry casks. And here one becomes truly spoiled for choices. 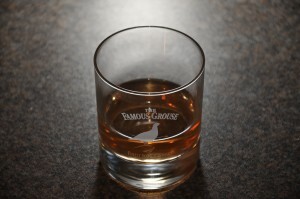 Perhaps I should have chosen Famous Grouse. After all, the vote for Scotland to remain part of the United Kingdom was the voice of the majority, so too is Famous Grouse the choice of the Scottish majority, the most popular blended scotch in Scotland. Or a complex and burly son of Islay, reeking of peat and sea and windswept vistas. But because we still want to salute the independent spirit of the Scots, the single-barrel, un-chillfiltered Caledonia emblazoned with the Scottish flag seems an equally appropriate dram. Named in honor of Scottish songsmith Douglas Maclean and his song, “Caledonia,” this offering from Edradour -- located amidst the stark beauty of the Scottish Highlands and currently Scotland’s smallest distillery -- is a rich, chewy 12 year old malt finished in Oloroso sherry casks, which lend it a flavor of honey, dark chocolate, spice, and oak. It’s a particularly exceptional dram and a perfect way to toast Scotland -- still a part of the union but still fiercely independent.